The American Jewish community has been deeply divided over the merits of the recent nuclear accords signed with Iran. On the night of November 4th, 1995, I was walking through the streets of Jerusalem near the Mahane Yehudah market. I had spent that Saturday evening with many of my rabbinical school classmates in an exuberant Melave Malka, a festive celebration of the end of Shabbat with singing, dancing and Torah learning. In retrospect, I realized that during my walk home after the party the streets seemed eerily quiet. Finally, as I neared my apartment, a seemingly crazed man was staggering down the street toward me. As we passed on the sidewalk, he was not crazed at all, but his face was ashen. He said in Hebrew, “Someone shot Rabin.” That was how I learned the shocking news that was confirmed when I got home. Earlier that evening in Tel Aviv, hundreds of thousands gathered for a massive pro-peace rally. “I was a soldier for 27 years,” Rabin called out. “I believe there is a chance for peace. A great chance which must be seized. Violence is undermining the foundations of Israeli democracy…it must be rejected and condemned, and it must be contained. It is not the way of the State of Israel. Democracy is our way. There may be differences but they will be resolved in democratic elections…” (Horowitz, Shalom Friend, 16) Unfortunately, Rabin’s final remarks became horrifically prophetic as he was assassinated minutes later by a Jewish terrorist. I remember the atmosphere in Israel in the weeks before and after Rabin’s assassination. Posters were plastered around Jerusalem calling Rabin a traitor for signing the Oslo Accords with the PLO. Even worse were the posters depicting Rabin in a Nazi SS uniform. Public criticism of Rabin did not come out of nowhere. Two years into the Oslo process, there had been an escalation of terrorism in Israel, including bus bombings, that raised public fear. On the other hand, peace activists charged that opponents to the peace process were traitors to Israel. The nation had already witnessed the unthinkable when Baruch Goldstein of Kiryat Arba slaughtered Muslims at prayer in the Cave of Machpelah in Hebron in 1994. In the wake of Rabin’s assassination, religious Jews in Israel were publicly taunted and harassed by secular neighbors because Yigal Amir, Rabin’s assassin, was a product of the national-religious world. This was a dark time for the Jewish people. Fortunately, respected rabbinic leaders from the national-religious camp like the late Rabbi Aharon Lichtenstein, z”l, who died earlier this year, led a communal heshbon hanefesh, examination of the soul, and many Israelis and Jews around the world took advantage of the “teachable moment” to learn from Judaism’s tarbut ha-makhloket, our culture of respectful disagreement. Indeed, every page of the Talmud is full of debate. Our tradition embraces debate. There is no one legitimate Jewish opinion of anything. How we engage in debate is another matter. The Torah offers a vision of what an ideal Jewish community looks like, and it’s worth reflecting on that. In the book of Exodus, the Israelites leave Egypt, throwing off the shackles of slavery and entering a new chapter as a free people. They wander in the desert for seven weeks, according to tradition, until they come to Mount Sinai where they receive the Torah. A key question that emerges from the text is why did God choose to give the Torah to our ancestors at Mt. Sinai? Why not give the Torah as the people left Egypt? Why not as they entered Israel? What was it about that particular moment when the Israelites were assembled at the foot of Mt. Sinai? “They journeyed from Rephidim and arrived at the Sinai desert and made camp in the desert, and Israel encamped there near the mountain.” Rashi notes the verbs in this verse: vayisu, vayavo’u, vayahanu—they journeyed, they came, they encamped. These verbs are all plural. It is a collection of individuals. Then, the verb case changes: vayihan sham—It encamped there, that is, the people of Israel. Rashi says at that moment it was k’ish echad k’lev echad. as one man as one heart. In other words, what made it possible for us to receive the Torah was that we came together as a single, united entity. The message is that being one people enabled us to receive the Torah and encounter God. They had come together as throngs of individuals, each with different ideas, hopes and fears. Yet, when they came together, they received the Torah, a symbol of their shared values and destiny. Twenty years have passed since Prime Minister Rabin was assassinated by a Jew. Yet, I fear the division of the Jewish people as much as I ever have before. Reflecting on this past summer, I believe that we have reached a new low point in the history of the Jewish people both in Israel and in the United States. I fear the consequences of our division if we do not take swift action to overcome our current predicament. This past summer, we witnessed two acts of horrific violence in Israel, one in which a Haredi man stabbed six participants in the Jerusalem gay pride parade, killing a teenage girl. That same day, a gang of radical settlers burned to the ground a home of a Palestinian family. At the time, and 18-month-old baby boy was killed, and in the weeks since both parents succumbed to burn wounds. These two acts of Jewish terror should shake us all, our entire people, to the core, just as the terror of Baruch Goldstein and Yigal Amir did two decades ago. It might be easy for us to dismiss these instances as extreme, isolated acts that happened far away in a democratic country that pursues and punishes the perpetrators. When I express concern about how we talk about key issues of the day, I am not saying let’s just stop talking about them. We have a right and duty to voice our concerns as active participants in democracy. We look at the world now, and we have good reason to fear. We see a strand of militant Islam in the form of ISIS and other terrorist groups on a violent march throughout much of the Middle East. We see a sharp increase of vicious attacks on Jews in European capitals. We see Israel increasingly isolated when it has become fashionable in some parts to question Israel’s right to exist. And, yes, on top of all this Iran has threatened to wipe Israel off the map. We as Jews have good reason to feel threatened and scared and angry. At the same time, taking the broad view of history, we Jews have never had it so good. We have a strong democratic State of Israel, and we are active participants in our vibrant democracy of America. Particularly in times like this, when there is much uncertainty in the world, we as Jewish Americans dare not apologize for engaging in American democracy. We dare not apologize for supporting the State of Israel and the Jewish people’s right to a secure national homeland. And, like caring family members who share loving criticism from time to time, we dare not apologize for holding America and Israel to the highest standards of justice. The United States and Israel are democracies that were each inspired in their founding by Biblical values. Our societies cherish open debate and have the innate ability to redeem themselves through democracy. We have good reason to mobilize and to muster all of our tools within our democracy to create a better world. Along the way, members of our community might have different approaches to achieving a safer and more peaceful world and more secure Israel. In a time like this when contentious issues are at stake, rabbis like me have the responsibility to raise the question: What are we doing to make it possible for our community to come together, k’ish echad k’lev echad, like one person with one heart? The rancor in the American Jewish community that we experienced this summer fell far short of the “one person, one heart” vision. I believe our democracy is threatened if we turn arguments into witch hunts. Our democracy is threatened if we brand each other as illegitimate because some other person disagrees with a policy or politician whom we support. Our democracy is threatened if we only listen to those with whom we already agree rather than engage those who see things differently. “I know you’re concerned about Israel’s security as much as I am—how are you able to support this?” Or “I know that you hate war and love democracy, why aren’t you bothered by this?” This more constructive approach is borne out of affection and respect for our fellow Jews. Twenty years after Yitzhak Rabin was killed by a Jew, we still have much work to do to heal the deep rifts within the Jewish community. On this Yom Kippur, I ask you to join with me to speak in pledging from this moment forward to speak to our fellow Jews who are sincerely engaged with respect and dignity. Let us also pledge to moderate our rhetoric and demand of politicians that they will speak of those with whom they differ with respect. The future of democracy at stake both in America and Israel. Our blueprint for navigating present turbulent times is the notion k’ish echad k’lev ehad. If we can truly be as one person with one heart we will merit to receive our bountiful Torah that will empower us to bring about healing into our broken world. Who speaks for the American Jewish Community? Who speaks for the American Jewish community? For years the assumption has been that the Conference of Presidents of Major American Jewish Organizations was the main voice of the American Jewish community. The Conference of Presidents is an umbrella encompassing some 51 Jewish organizations representing all of the religious streams, defense organizations and other significant American Jewish institutions. 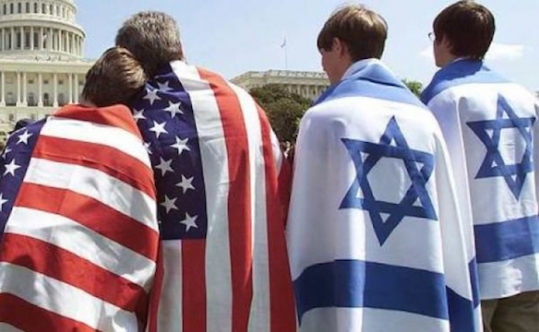 Their mission is to produce consensus statements on behalf of American Jews on matters important to us, such as Israel’s security, so that political leaders in our country and opinion leaders have a sense of the pulse of the American Jewish community. During the Eisenhower administration, Secretary of State John Foster Dulles complained that he was inundated by so many Jewish organizations lobbying him on Israel, and he didn’t know who spoke for the Jewish community. Therefore, the Conference of Presidents was formed to streamline contact between the Jewish community and Washington. This model works when there is general consensus. Until there isn’t. Recently, a deep rift in the Jewish community has been exposed over the Conference of Presidents’ vote to reject a membership application by J Street, the so-called “Pro-Israel, Pro-Peace” lobby organization. While the vote was secret, news media reported that of the 42 organizations that participated in the vote, 17 supported J Street’s membership, 22 opposed and three abstained. J Street needed a two-thirds majority of the Presidents Conference, or 34 of the 51 member groups. I must confess to some personal ambivalence over this vote. Underscoring my own ambivalence, two organizations within the Conservative Movement in which I’m involved cast opposing votes on the matter. I sit on the board of MERCAZ-USA, the Zionist arm of the Conservative Movement, which voted against admitting J Street. The Rabbinical Assembly, on the other hand, voted in favor. Before I spell out the reasons for my ambivalence, I note that our Torah portion this week, Parashat Behar, is focused as a whole on the Eretz Yisrael, that tract of land that embodies so much emotional, spiritual and religious importance for us as Jews. If Israel did not hold such importance, nobody would be getting worked up over a membership vote in the Presidents’ Conference. The portion describes the practices of Shmittah, the Sabbatical year in which the Land is to lie fallow, and Yovel, the Jubilee, in which all land returns to its original owner, all debts are erased and all slaves are freed. Observance of these laws is meant to remind us that the Land ultimately does not belong to us, but to God. In describing the Jubilee, the text instructs: V’khi timkeru mimkar la’amitecha o kanoh miyad amitecha, al tonu ish et achiv. When you sell property to your neighbor, or buy any from your neighbor, you shall not wrong one another (Leviticus 25: 14). The Midrash interprets the application of this verse as extending beyond a mere business transaction. Rather, the admonishment al tonu ish et achiv, “you shall not wrong one another,” includes wronging a person with harmful words (Lev. R. 33:1, quoted by Rabbi Harold Kushner, Etz Hayim, p. 740). This includes reminding a repentant sinner of his or her former misdeeds and asking a merchant the price of something when you have no intention of buying. In other words, the Torah is concerned not only with economic justice, as vital as it is, but also in promoting civil discourse. As Dershowitz and others have said, J Street speaks out of both sides of its mouth. It says it’s a Zionist organization, but gives public platforms to those who seek to destroy the concept of Israel as the nation state of the Jewish people. 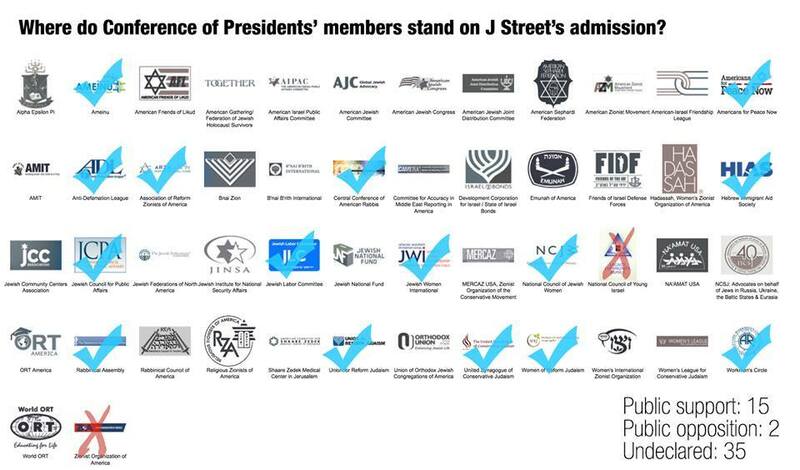 Given this track record, I understand the sentiment of the majority of Jewish organizations that see J Street as a threat to the consensus-building mission of the Conference of Presidents. Despite Dershowitz’s compelling case, I am concerned that J Street may actually have won by losing. The negative vote enables J Street to play the victim and boost their agenda to delegitimize the organized Jewish community. Even for those of us who don’t agree with their platform, they have made significant inroads in the Jewish community, especially on college campuses. Like it or not, they are a “Major American Jewish Organization” that is far more influential than many other long-standing members of the Conference of Presidents. J Street is exploiting the vote for fundraising and publicity. It has declared that the vote is proof that the organized Jewish community is tone deaf and doesn’t care about younger Jews who don’t relate to Israel like their parents and grandparents did. We learn in the Torah al tonu ish et achiv, “you shall not wrong one another.” Our tradition understands this as extending to how we talk to and about one another. In this light, I believe it is in the best interest of the Jewish community that those within the organized Jewish community and those who seek to enter find a way to talk to and listen to one another. For J Street this might mean adopting a constructive agenda that does not seek to embarrass American Jewish organizations that have done vital work for decades. For the organized Jewish community, efforts towards greater inclusion might just neutralize the most strident voices they seek to exclude and enhance an umbrella organization committed to Jewish unity. As Israel celebrates 66 years, may we be blessed with renewed vigor to promote civil discourse for the betterment of the Jewish people.